Here I go again…trying new stuff. I’ve recently gotten myself mixed up in digital painting. I purchased a Wacom tablet and I’m starting to think this might be the world for me. 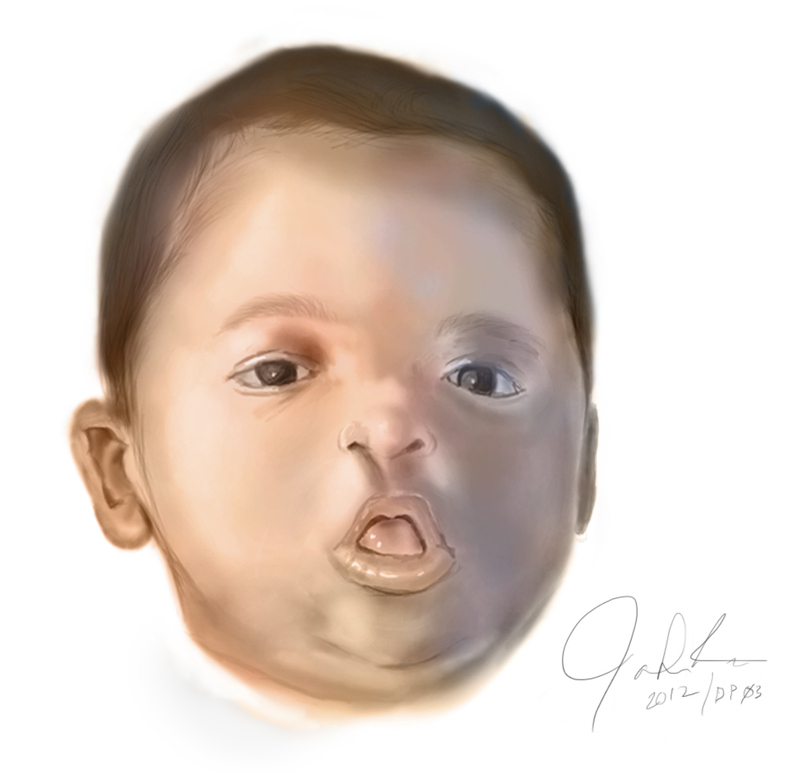 Here is a painting I did of my son using only photoshop. This is the 3rd DP I’ve completed. It’s a medium that is wonderful to use because the clean up is non-existent. I still have a lot to learn in terms of how to properly apply coloring etc. I’ll keep you posted.